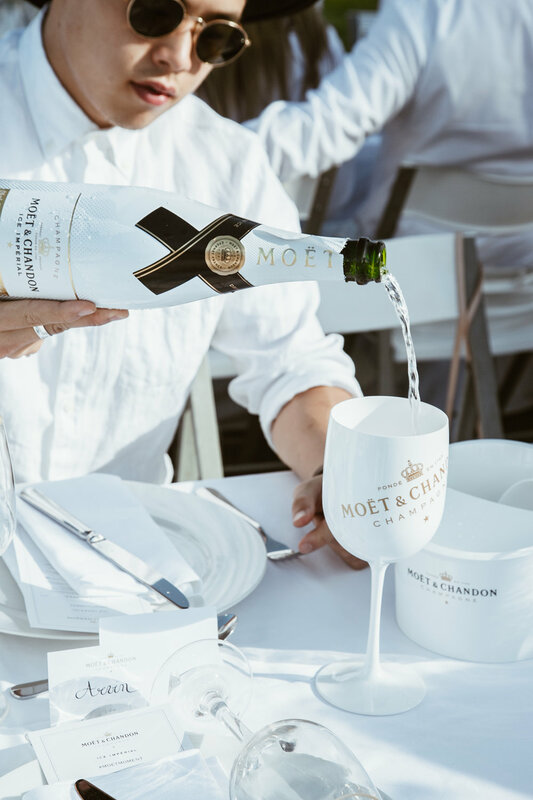 This year I was kindly invited by Moët & Chandon to Dîner en Blanc which was held in Centennial Park, Sydney. 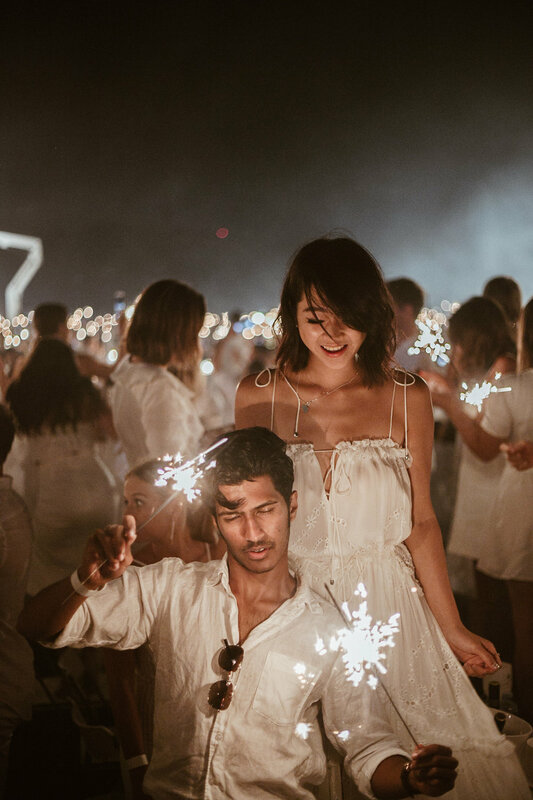 Every year seventy-nine cities in 28 countries across the globe participate in this pop-up affair, which was launched in Paris back in 1988. 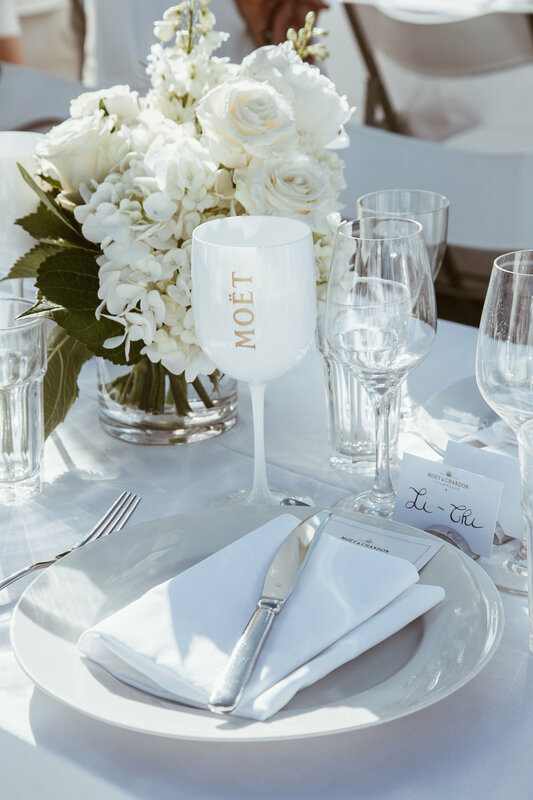 Guests then get together at 26 various meeting points throughout the city and are escorted to the 'secret location' with their tables, chairs and food in tow. All guests have to bring a folding table, two white chairs, a white tablecloth & proper dinnerware (this can be purchased from IKEA). Guests can either order an online picnic basket or opt for their own spread of French inspired foods such as baguettes, cheeses, cured meats & fresh fruits. The dress code is white as you may have guessed by now ;)! Don't be scared to be extravagant - just ensure that you wear comfortable shoes as finding the secret location involves quite a bit of walking. The location tends to be at an iconic landmark outdoors in Sydney where diners can be seen. 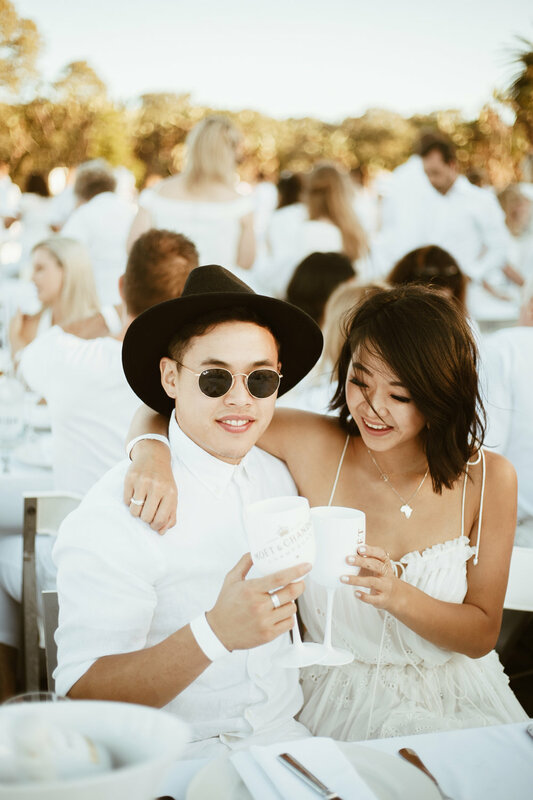 In order to get ahead for next year's Dîner en Blanc 2018 here's how attendance usually works.